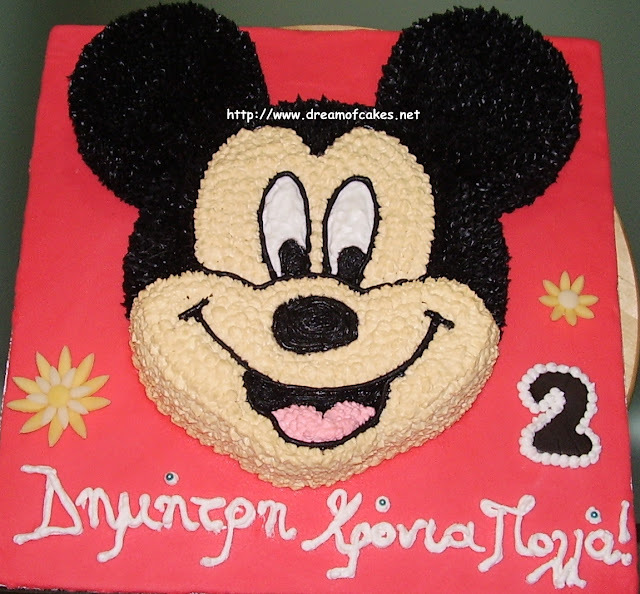 This Birthday Cake is dedicated to two special "Boys"; Demetris and his dearest friend Neophytos. This is pretty cool! Perfect for the white collar crowd as well as some well dressed little boys. Very creative and I love the colors of the tie against the shirt, very striking like a regular tie should be. Impressive creation Efty! You have done it perfectly , very clean work Efty :) . What a beautiful, original cake! You must make a lot of people very happy! Allen. I have never seen a cake like this before. Just beautiful, Efty. This is such a neat cake! This looks beautiful. My son's birthday is in a few days and I am so tempted to try making it but I don't think I will manage. Lovely!! 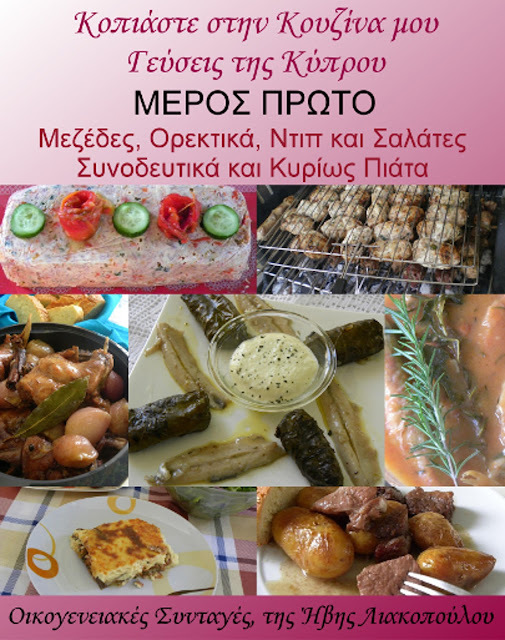 You are an innovative cook!!! 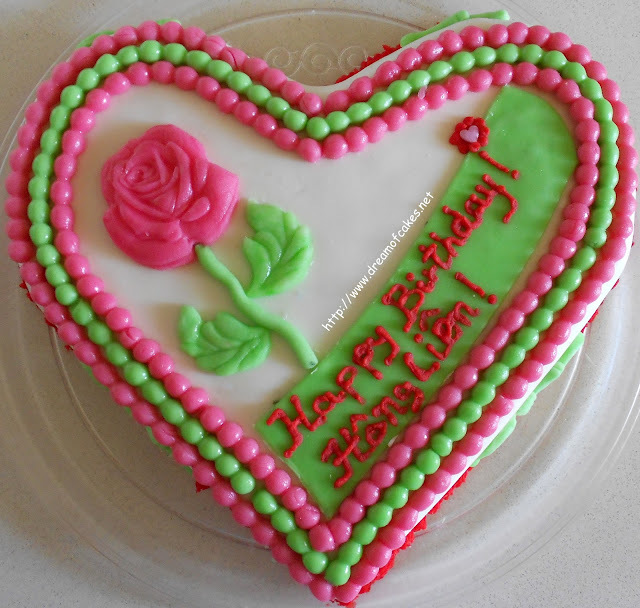 Are the details fondant? Very nice! Yes, the cake was exclusively decorated with fondant icing. Eftychia, this is such a cool gift! Happy birthday to boys. And what a great job you've done on this cake! Really creative...I'd like to make something similar for Father's Day! Wow what a fantastic cake. I love the colours of the tie and the shirt details. Very creative! Wow this is amazing....And it looks like a real shirt!!!! !great Job.....i Love it. 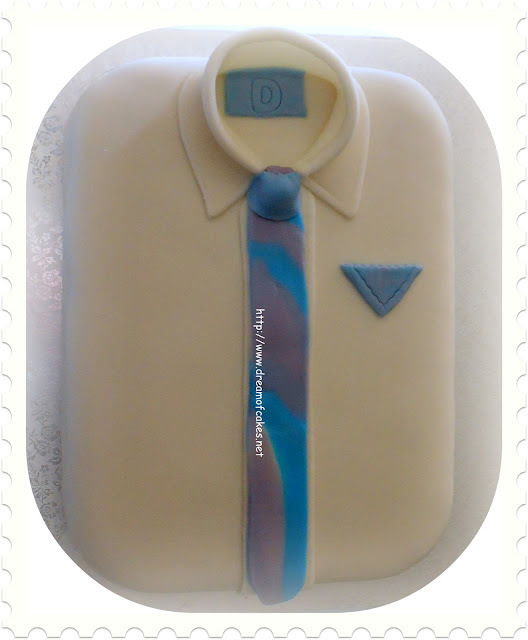 wow this cake is great, lovely creative with white shirt and tie. this cake is a perfect match for my psychology professor Mr.Neo, also this seems to be delicious. Im wondering how will it taste like? =) also keep up the great work. What a cute cake! This would be great for Father's Day too. If I made a cake for my father, it would be a blue work uniform without a tie, and with a toolbox. He only wore a tie for weddings and my parents' anniversary dinner. Our perceptions of our parents as we grow up changes. They are the center of our universe and our prime protectors/providers as kids. This can carryover into adulthood and we either emulate our parents when we become parents ourselves, or we change our parenting style to not be like them (if we did not have a great childhood). Why make those same mistakes again? I hope this cake was delicious and the "boys" enjoyed it - even if they aren't there to eat it! ~Michelle M.
Actually it would make a great cake at a celebration for a new job or premotion.